Accountant Ad (copy) on Biteable. We are working with our partners from Police Scotland, Transport Scotland and SESTran (South East of Scotland Transport Partnership) to host an event on the topic of Hate Crime on Public Transport. 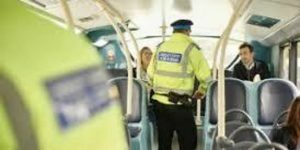 Hate Crime has become more of an issue, but specifically so on public transport and we are keen to hold a discussion on ways in which we can all take steps to combat it. Transport Scotland are keen to establish a national Hate Crime Charter, which would set out a series of pledges to tackle hate crime. The idea will be that transport providers sign up to this Charter, pledging their commitment to tackling hate crime. This event will bring together disabled people, as well as other equality organisations and transport providers to discuss all forms of hate crime on public transport, the potential for a Hate Crime Charter; including what it would have to contain to be useful, and how a Charter could be implemented and monitored to make a difference. The event will take place on 5 September 2018 at Alloa Town Hall. The event will start at 11:00am until 3pm and will consist of presentations from Police Scotland, from people detailing their own experiences of hate crime on public transport and group discussions. The event is free to attend and lunch will be provided. As part of our on-going work with Transport Scotland we will be holding an Accessible Transport event in Orkney on the 20th September 2018. The aim of this event is to bring together representatives from equality groups with transport providers to discuss specific issues relating to travel and transport on Orkney. This is our opportunity to discuss ways that providers and disabled people (and other equalities groups) can work together to bring about improvements, in line with the Scottish Government’s Accessible Travel Framework. The event will take place at the Pickaquoy Centre from 10am to 4pm, with a networking lunch. There will be transport providers, stakeholders, and representatives from equalities groups in attendance.